If you plan to study English in the US, part of learning the culture is taking part in American holidays. Thanksgiving is a national American holiday that occurs every year on the fourth Thursday in November. Banks and offices are closed by law, and most people take the day off work to spend time with family and friends. A tradition since colonial times, the holiday has evolved into a national celebration of community, food, giving thanks, and helping others. However, you might not know some of the quirky traditions that are included with this significant American holiday. Read on for five Thanksgiving traditions in the USA shared by families and friends across the country. One aspect of Thanksgiving that you might have seen before is the traditional dinner feast, and it’s perhaps the most recognizable part of the holiday. First, you’ll need a roast turkey, which is a vital part of a Thanksgiving meal and often cooked with stuffing inside (a filling of bread and spices) that is also served as a side dish. Other food included in a traditional Thanksgiving meal is cranberry sauce, mashed potatoes, green beans, and different varieties of squash. For dessert, many people enjoy pies, such as apple, pumpkin, or chocolate cream. Americans typically spend all morning and afternoon cooking and share a meal with the family in the late afternoon. Sometimes the cooking process even begins a day or two before the holiday! Americans generally stuff themselves with food during dinner but somehow save some room for dessert. But the overindulgence is always forgiven – it’s Thanksgiving! Americans have an interesting tradition of cracking the turkey wishbone for good luck. Every turkey (and other bird) has a uniquely shaped bone right between the neck and breast, similar to the letter “Y.” When preparing the turkey, Americans remove the bone and let it dry out. Later, two people each grab an end and give it a yank. If you get the bigger piece when the bone breaks, your wish will be granted. Where did this tradition come from? It’s not unique to the U.S. but actually began with the Ancient Romans, who pulled apart chicken clavicles hoping for good luck. The tradition made its way to England in the 16th century and continued into the colonies once Europeans migrated to America. Americans started calling it wishbone in the mid-1800s, around the time that Thanksgiving was declared a national holiday, but the old tradition hasn’t changed. One interesting, and somewhat silly, tradition of the American people is the president’s “pardoning” of a turkey at the White House. Dating back from 1947, US presidents were gifted turkeys for Thanksgiving, but these turkeys were usually eaten. Ronald Reagan was the first president to “pardon” a Thanksgiving turkey in 1987, letting it live the rest of its life on a farm. After that, saving a turkey every year became a tradition. Last Thanksgiving, President Barrack Obama said that the tradition was a bit “puzzling” but that it’s nice just to say “Happy Thanksgiving” every year, before pardoning a turkey named Abe and cracking a few jokes. Americans eat 46 million turkeys every Thanksgiving, a staggering number, and the presidential pardon saves just one lucky turkey from its inevitable fate. In modern times, TV and media have played an important role during the Thanksgiving holiday. Many American families attend or watch the Macy’s Thanksgiving Day Parade in New York City, the largest city in the United States. The first Macy’s Day Thanksgiving parade took place in 1924, and it’s grown and expanded since then. With floats, marching bands, giant helium-filled balloons, and performances from Broadway musicals and Hollywood stars, it’s one of the most recognizable aspects of the Thanksgiving holiday that millions of people attend and watch every year. Football, America’s favorite sport, is also always broadcasted on TVs across the country on Thanksgiving Day, and families get together to watch their teams. While Black Friday and Cyber Monday don’t occur on Thanksgiving Day, they have become an integral part of the Thanksgiving holiday. Most schools and offices are closed the Friday after Thanksgiving, so many people take advantage of their time off to start their holiday shopping early. On Black Friday, major retail stores offer huge discounts and deals, and shoppers line up early in the morning, clamoring for a good place in line, in order to get their hands on discounted products. Due to the popularity on Black Friday and the rice of the e-commerce industry, another national shopping day, Cyber Monday, was created by marketing companies to encourage people to shop online the Monday after Thanksgiving. Cyber Monday is a great option to take advantage of holiday sales without having to contend with the crowds on Black Friday. Want to learn more about Thanksgiving and Black Friday? Check out this American Traditions blog post. 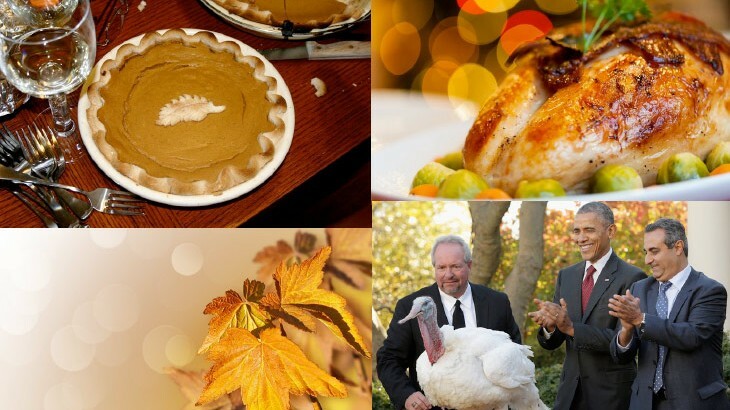 esl-blog, General Info American Thanksgiving, celebrating Thanksgiving in America, holiday traditions in the USA, Thanksgiving traditions, Thanksgiving traditions in the USA. permalink.